Library opening hours are 9.00am to 5.00pm, Monday to Friday. Popup libraries are now attending select Memory Lane Cafes. Contact the library or your Memory Lane Cafe coordinator for further details. 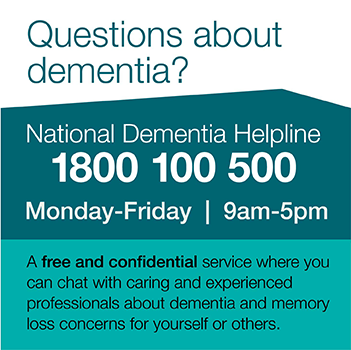 For more information contact us on 03 9815 7800 or email library@dementia.org.au or ring the National Dementia Helpline on 1800 100 500.